On Thursday 8th of June, the Students' Union held their Colours and Honours ceremony at Birkbeck, University of London. This is a prestigious ceremony where the Students' Union honours students and staff at Birkbeck for their contributions to the Birkbeck Community, from clubs and societies to teaching excellence, and this Colours and Honours ceremony is an important opportunity for our members to show appreciation to the students and staff members that support us through our time at Birkbeck. Every year Birkbeck students submit many nominations of students and staff that they felt have gone the extra mile to make the Birkbeck Community great. 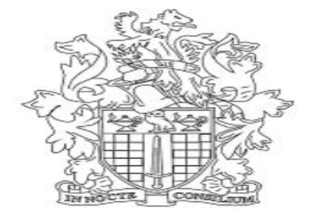 While every person who has taken part in any of our activities has made a valuable contribution, it is important to recognise our members who have gone above and beyond the call of duty by volunteering their time and skills to their peers. The nature of evening study means that many of our students have multiple commitments outside of Birkbeck, which makes the tremendous commitment and dedication we see year after year even more impressive. 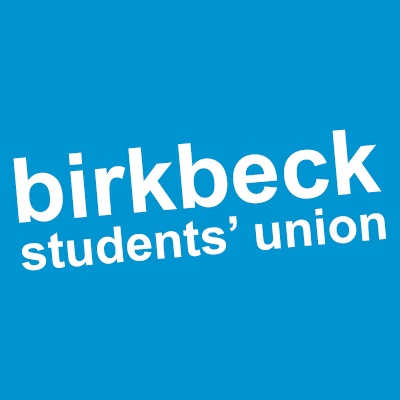 Hana Faber, the Chair of Trustees of Birkbeck Students' Union said, "Without the interest and support of dedicated members from the Birkbeck community, none of this would be possible. 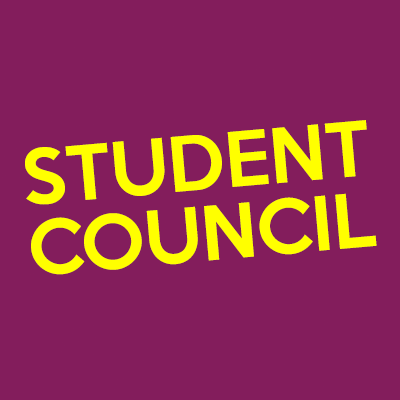 Thank you to everyone supporting our Students’ Union and our members!" Some notable staff members who were honoured during the ceremony was Dr Joel McKim, Professor Sarah Hart, and Professor Ron Smith. They were all honoured for Teaching Excellence and dedication to their students in learning and being great lecturers. 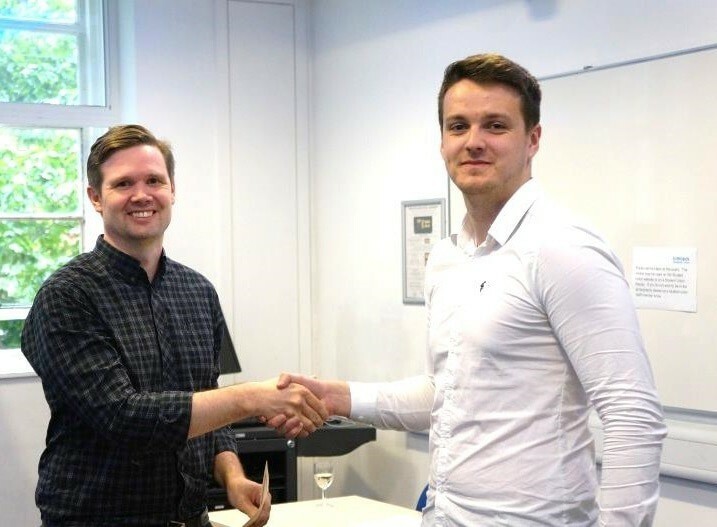 Dr Joel McKim being presented his Half (Staff) Colours and Honours Award for Teaching Excellence by Michael Johnson, Communications and Activities Officer. On the day of the Ceremony, students and staff piled in into MAL 414 early at 7pm to see the Students' Union Colours and Honours Ceremony that has been on hiatus since 2011. This Colours and Honours Ceremony also marks the new beginning for the Students' Union, as the Students' Union will be completely changed for the new academic year of 2017/18. Some familiar faces were those who ran student societies and also the staff members that have been around at Birkbeck for many years now. While the bustling of eagar award winners were on the topics of their awards, some were also about the results of the General Election 2017 that was taking place during the whole ceremony, with many eager to watch the Exit Poll at 10pm. The Colours and Honours Ceremony was presented by Hana Faber, Chair of Trustees, and Michael Johnson, Communications and Activities Officer, where they read out the citations and presented the certificates to all award winners and thanked them for their dedication to improving the Birkbeck Community. We also want to congratulate everyone who has been nominated for an award, and encourage everyone who feels that a certain Birkbeck student or staff at should be recongised for their contributions to the Birkbeck Community, please nominate them for our next Colours and Honours in 2018!